1. Ruthie Knox – My friend Ginger of GReads! has been telling me read her books all year long. But it wasn’t until her serialized novel Truly that I finally caved. Oh Em Gee. That book was SO GOOD!! I promptly decided Ginger was right and I’d been missing out. 3. Leila Sales – I mean, have you read This Song Will Save Your Life?! I hear her previous books are also really good! 4. Diana Peterfreund – She’s written about Killer Unicorns and Secret Society Girls, but I haven’t read those. I read For Darkness Shows the Stars this year and LOVED it! 5. 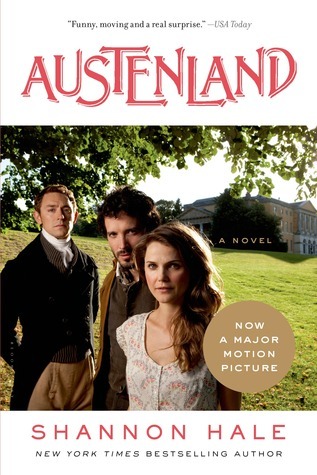 Shannon Hale – If there’s one book/movie combo I honestly immensely enjoyed this year, it was Austenland. You guys MUST get on that! SO fun! 7. Robyn Carr – No, I didn’t jump into her Virgin River series, but her new one, Thunder Point, was enjoyable! 9. Philippa Gregory – Yo! Her historicals are no. joke! Definitely enthralling and heartwrenching. 10. Nicholas Sparks – LOL I know, I know. I am a fan of the movies from his books, but I hadn’t felt inclined to read any of them until Safe Haven for some reason (Lie. It had to do with Josh Duhamel being the lead.). I liked it! I may read more. I haven’t read This Song Will Save Your Life but I own it because everybody gushed about it. I’m hoping to read during Winter Break. Philippa Gregory – I have a bunch of her books and I need to read her stuff! Nicholas Sparks? I’m glad you liked him. I am not a fan of him. They make me cry uncontrollably sometimes and I’m just not cool with that. Sigh, the only one I’ve read is Nicholas Sparks, haha. But Leila Sales! I’ve heard of her and that THIS SONG WILL SAVE YOUR LIFE is very, very good. Those are all new to me as well! Although years ago I did read A Walk to Remember! I’m glad you finally listened to me! haha Ruthie made my list as well. Hard to believe I only discovered her this year! Yay for fantastic unknown authors…I’ll be adding a couple to my list. But I agree with Diana Peterfreund (you must read the Secret Society Girl books, they’re awesome) and Shannon Hale and Bella Andre. I love Leila Sales, as well. Need to add Sarah Addison Allen, my friends Carrie & Ang love her, too. Bella was new to me this year too and yep I adored her too! Leila Sales! 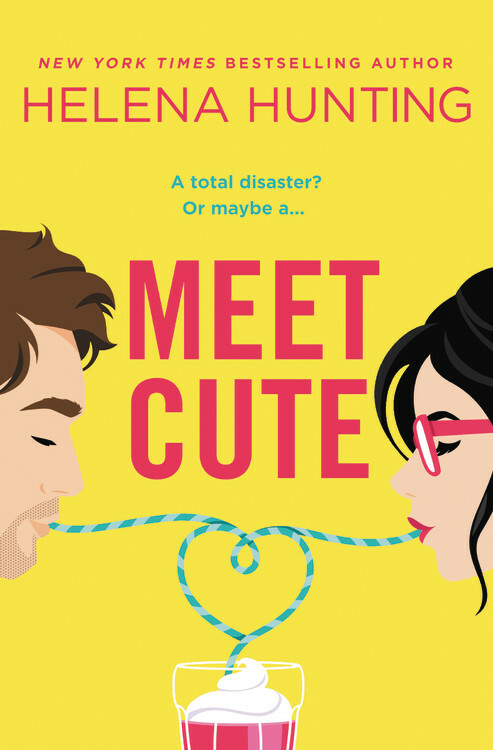 PAST PERFECT is really cute, but it isn’t the heavyweight that TSWSYL is if you’re expecting that. Diana Peterfreund and Shannon Hale, I LOVE THEM. So glad you discovered them!! Glad you have JoJo Moyes on your list. Me Before You is one of my favorites this year! And did you see Austenland? I love that film. I have to read the book! I love Shannon Hale’s writing! 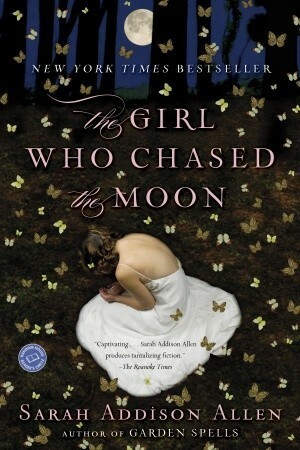 I’ve seen Diana Peterfreund on a few lists; I’m definitely adding her books to my TBR. Great list! I haven’t read any of these authors. I came so close to including Leila Sales on my list, too. This Song Will Save Your Life was so fantastic! I really need to read something by Ruthie Knox! Aside from the fact that her books sound so promising, Racquel is probably going to have my head if I don’t read one soon. Safe Haven is one of my MOST FAVOURITE books, and one of those that I had wish I had never read so I got to experience it for the first time all over again! It makes me so happy to hear when people have read and liked this one! I have never heard of Ruthie Knox before but Truly looks really good. Will be adding that one to my TBR list! I have heard amazing things about Leila Sales and have been meaning to read This Song Will Save Your Life for a while, but still haven’t quite gotten round to it. A Christmas read me thinks!